Olympics. 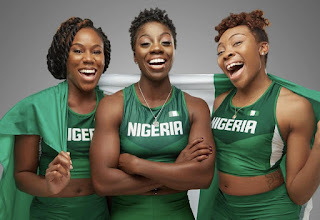 The speedy trio is all set to compete in the XXIII Olympic Winter Games being held in PyeongChang, South Korea, this coming February. Adigun, the team’s driver, and Omeoga and Onwumere, the brakewomen, qualified for the Olympic games after turning in strong performances in a series of five races held in Utah, Whistler and Calgary.